Parsnips are delicious root vegetables that have been cultivated across the globe for thousands of years. They belong to the carrot family and resemble carrots too, but they are an entirely different species. More importantly, they possess some amazing properties that can benefit your health. How Are Parsnips Good For You? How Can Parsnips Benefit Your Health? What Is The Nutritional Profile Of Parsnips? 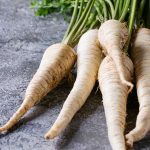 Do Parsnips Have Any Side Effects? Parsnips carry a striking resemblance to carrots, and the only way to differentiate them from carrots is their lighter hue (while carrots are a darker orange). A raw parsnip tastes somewhere between a carrot and a potato. It smells like fresh parsley. The goodness of parsnips, like any other food, comes from their impressive nutrition profile. They contain potassium that boosts heart health, and folate that prevents congenital disabilities in newborns. 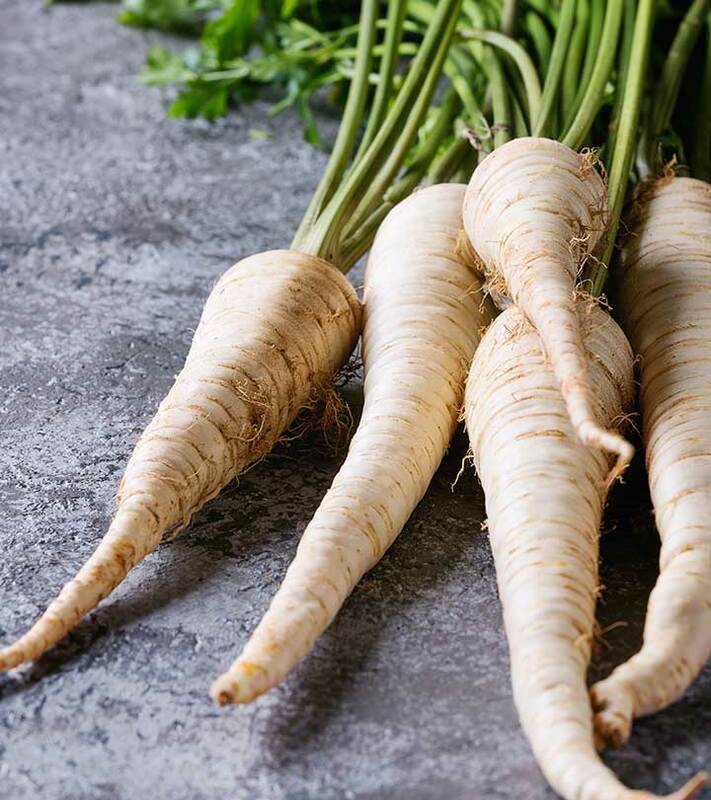 Parsnips are also an excellent source of fiber and do everything that fiber does – enhance digestion, promote eye health, and regulate blood pressure levels. We shall look at the extensive nutrition profile of parsnip in a while. But first, let’s check out the benefits this wonder root veggie has to offer. Parsnips are great sources of potassium, a mineral found to have great benefits for the heart. Adequate potassium intake is also important for the prevention of stroke and coronary heart disease (1). Studies also show that increasing potassium intake can decrease heart disease risk by 17% and increase life expectancy by over 5 years. Low potassium intake has also been identified as a risk factor for hypertension (2). As parsnips contain this mineral in abundance, consuming them can help regulate blood pressure levels – and eventually avert heart disease. The soluble fiber in parsnips can help fight heart disease as it can lower LDL cholesterol levels. Parsnips are good sources of folate too, an important nutrient that helps prevent birth defects in newborns. 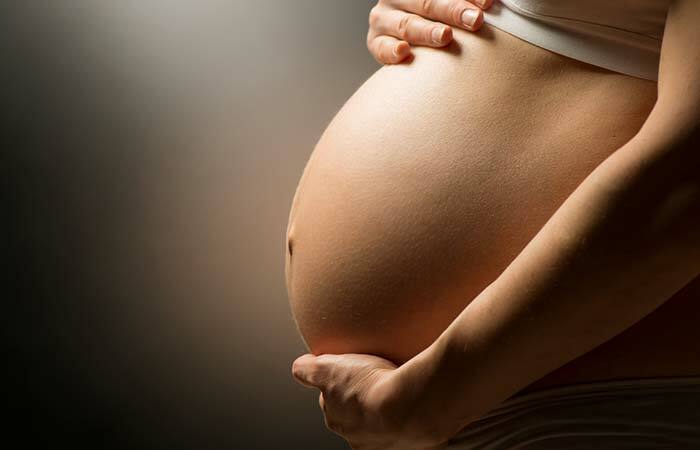 Certain studies show that folic acid (or folate) can cut the risk of birth defects of the spinal cord and the brain by as much as 70% (3). The most dangerous of these birth defects is spina bifida, wherein the baby is born with a part of the spinal cord outside the body. The presence of soluble fiber makes parsnip an ideal food for banishing your digestion troubles. Soluble fiber helps by cutting the risk of constipation as it retains water and turns into a gel during digestion (4). Parsnips are rich in vitamin C, a nutrient that helps boost immunity (5). Studies show that vitamin C enhances the immune system – its deficiency has been associated with impaired immunity. Vitamin C is also important in collagen synthesis, thus being a vital nutrient for healthy skin, hair, and nails. Supplementation with vitamin C was also found to treat systemic and respiratory infections (6). Parsnips are rich in folate – and studies show that treatment with folate can help fight megaloblastic anemia (7). These are the ways adding parsnips to your diet can do you a whole lot of good. As we discussed, all of this can be attributed to the nutritional profile of the root vegetable. With such an amazing nutrition profile, who wouldn’t want to make parsnips a part of their daily diet? Check out the recipes in the next section. Bring the parsnips, cream, milk, garlic, and the butter to a boil in a medium saucepan. Reduce heat, cover, and simmer until the parsnips turn very soft. This might take about 10 to 15 minutes. Uncover and keep cooking until the liquid is reduced by half. This may take about 5 minutes. Season with salt and puree in a blender until you get a smooth mixture. Cover the parsnips in water in a large saucepan. Boil over medium-high heat for about 10 minutes until tender. Drain the water. Combine the flour and seasoning salt in a plastic bag. Dip the parsnips in the butter and place them in the bag. Shake the bag to coat the parsnips with the seasoned flour. In a large skillet over medium-high heat, heat the butter. As the butter sizzles, add parsnips. Keep cooking, turning occasionally, until all sides turn golden brown. Absolutely delectable dishes, aren’t they? Quite simple to prepare and extravagantly nutritious too! We are sure you can’t wait to head to your kitchen right away. But hold on – there is something else about parsnips you’ve got to know. Parsnips may cause allergies in certain individuals. 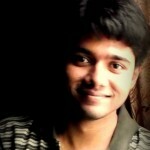 Such people may also experience contact dermatitis. Rashes or a burning sensation on the lips, mouth, and throat are some of the possible side effects. If you experience any of these effects, please stop consuming it and visit your doctor. Avoid parsnip leaves. Just stick to the root. The leaves can cause skin blistering. Avoid wild parsnips. These are found in open areas, fields, and pastures. They have yellowish-green flowers appearing in umbrella-shaped clusters, usually in June and July. Please avoid them at all costs as they are toxic. Livestock eating wild parsnips were found to experience negative effects on their fertility and weight (8). Parsnips are as nutritious as their carrot cousins. They are quite easy to prepare too. Include them in your diet today – and yes, be wary of wild parsnips. Do you already eat parsnips? How do you use them? Do share your recipes with us by leaving a comment in the box below. What is a substitute for parsnips? You may substitute parsnips with carrots. You can also substitute them with other root veggies like turnips. Can you eat parsnips raw? Yes, they can be eaten raw – though it is not quite common. The best way to eat them is cooked. “Potassium and health” Advances in Nutrition, US National Library of Medicine. “Heart disease and stroke statistics” American Heart Association. “Folic acid: the vitamin that helps prevent…” New York State Department of Health. “Soluble and insoluble fiber” US National Library of Medicine. “Roasted parsnip celeriac soup” Bastyr University. “Vitamin C and immune function” Nutrients, US National Library of Medicine. “Folate and disease prevention” Scientific Advisory Committee on Nutrition. “Wild parsnip” Michigan Invasive Species.